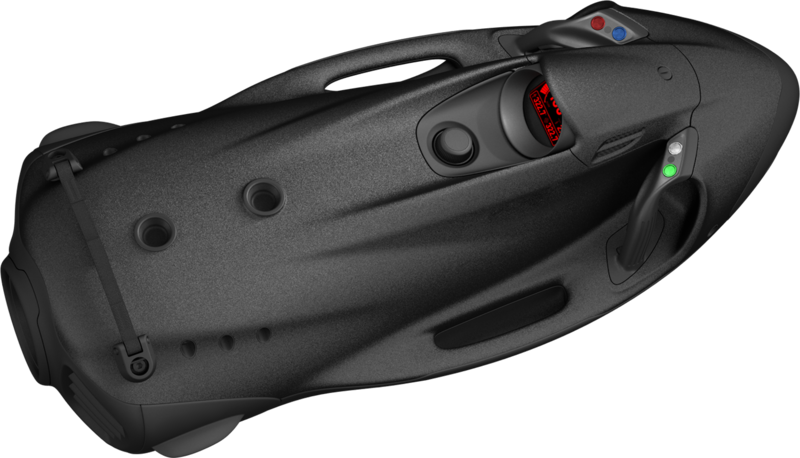 The DIVEJET RD2 is a high-performance diving scooter for professional applications. With its patented E-jet power system, the high-power drive of the RD2 is unrivalled. 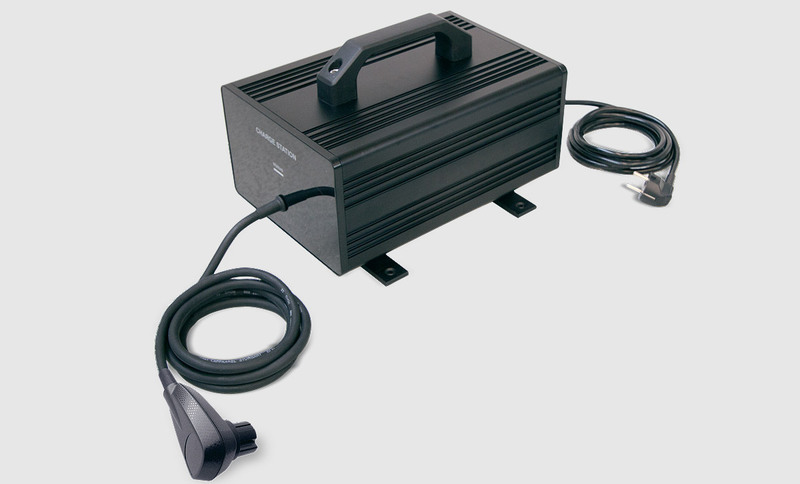 Virtually silent and absolutely emission-free the electric Jetstream system works on the principle of water displacement. Water is sucked in by the powerful rotating impeller and forced out in the jet channel under high pressure. The thrust developed by this process propels the RD2 forwards in superior style. The high-performance accumulators form the powerhouse of the RD2. 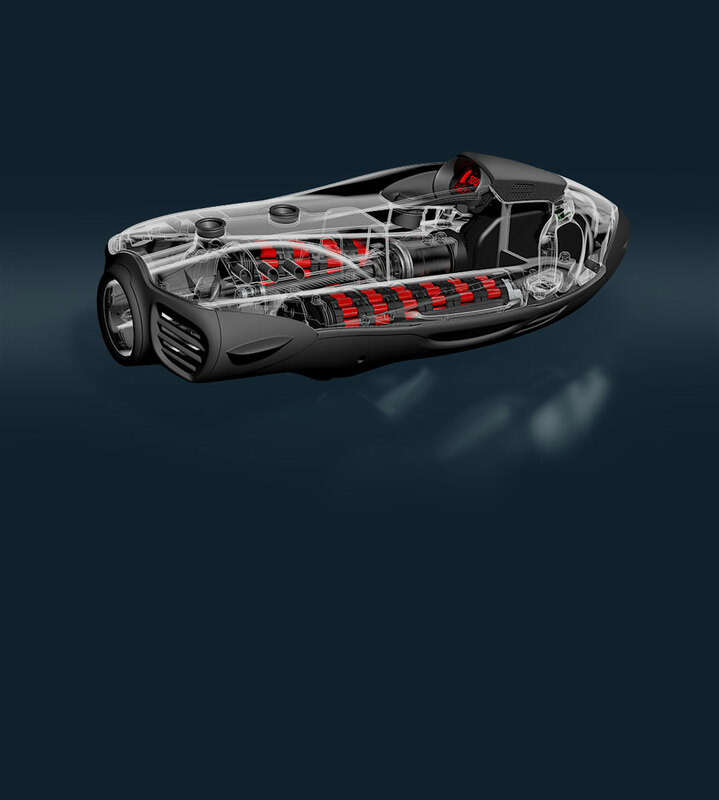 The powerful motor performance of 3.4 HP is controlled by 10 power levels. Hereby the operator can alternate individually between slow or high speed manoeuvres through the water. 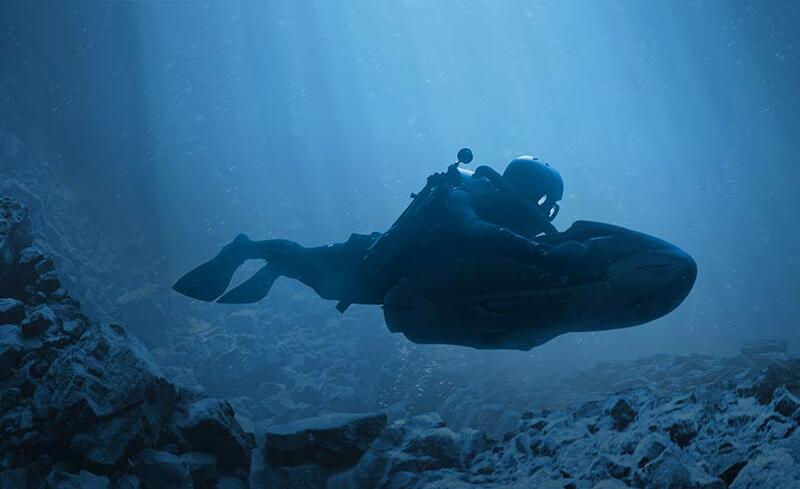 The RD2 can be steered down to a depth of 60 m, thus making it ideally suitable for all kinds of underwater missions and special operations. 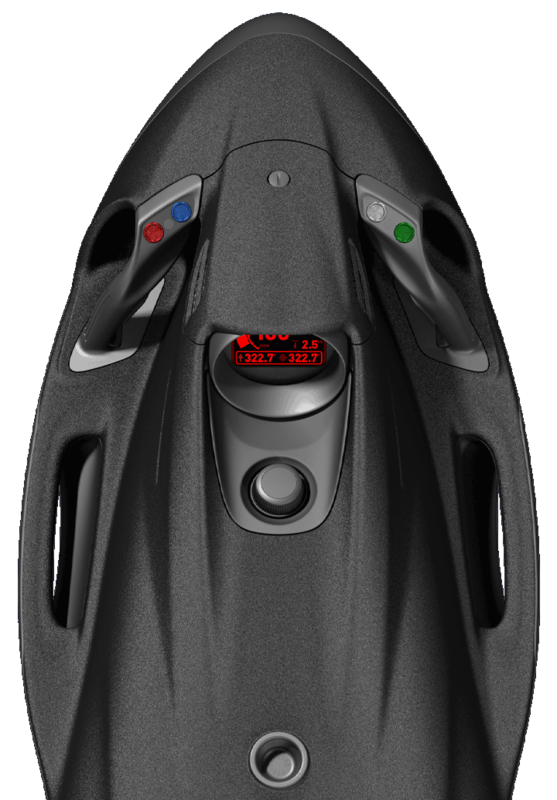 The hydrodynamic design and extremely light weight of the RD2 lends the diving scooter a high degree of agility in the water. All steering and diving manoeuvres are carried out simply by shifting the weight of the body. 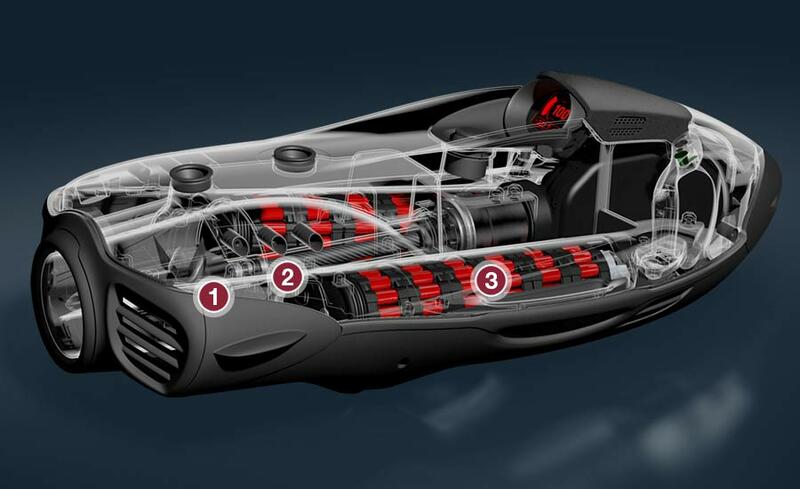 The specially developed harness system enables the operator to easily control the enormous thrust of over 42 kg. The RD2 represents advanced, cutting-edge technology through and through. 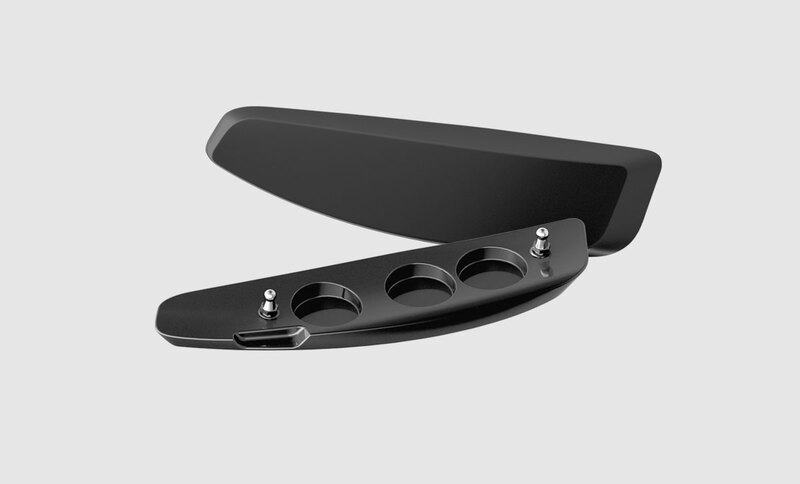 The operator steers his innovative craft using two intelligent Controlgrips featuring piezo technology. The drive mechanism is activated via the Trigger on the left or right Controlgrip. Applying light pressure to the green sensor accelerates the RD2 in continuous powerful thrusts until the desired speed is achieved. In contrast, the scooter is slowed down through reduced propulsion by pressing the red sensor. Should the situation arise, an emergency stop can be brought about simply by letting go of the Trigger. Two additional piezo buttons make it possible to program a set-up menu to meet individual requirements. 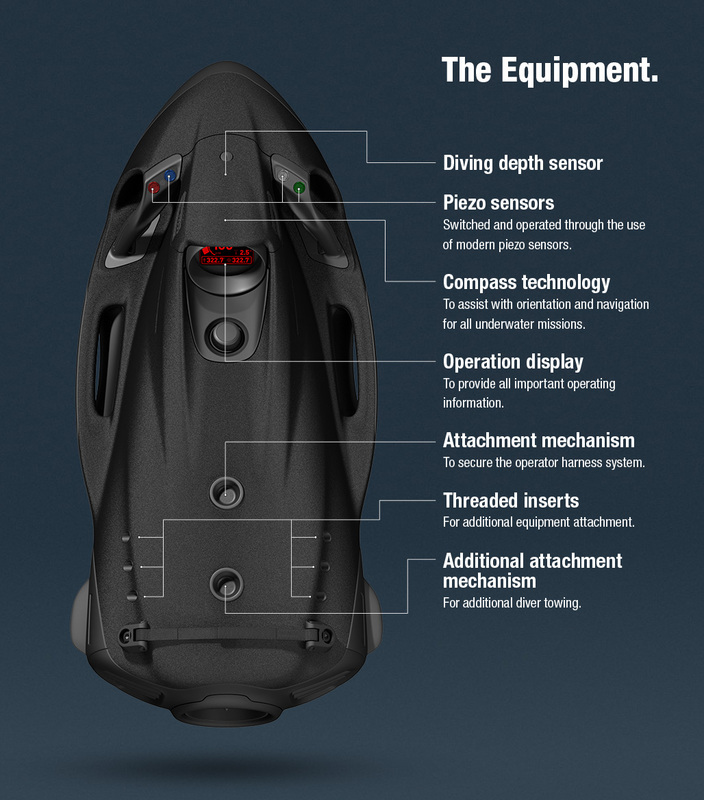 This also includes the setting of a maximum diving depth. 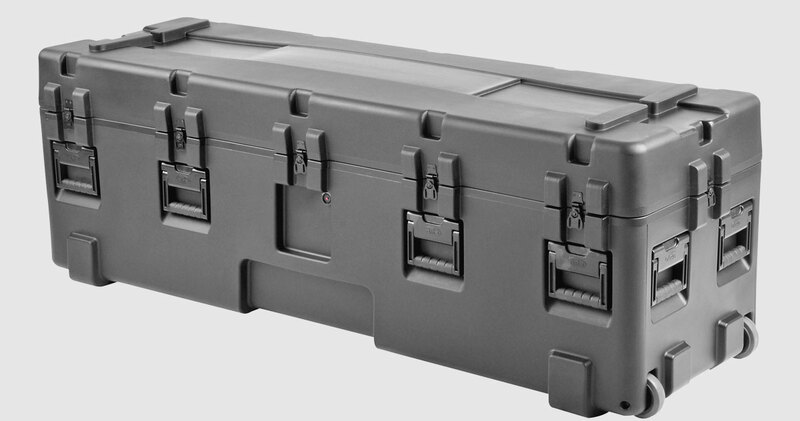 This important safety function reliably prevents a predetermined depth from being exceeded. The central cockpit is placed perfectly in the operator’s field of vision. The new multi-colour illuminated TFT display shows all relevant data relating to the operation such as the current power, accumulator charge state, remaining operating time, diving depth and current course. Moreover, the RD2 is equipped with state-of-the art navigation technology. The activated navigation system enables the user to steer the RD2 with ease by means of the digital bearing scale. 1 The uncompromising use of quality components and special high-grade coatings has made this motor extremely robust and completely maintenance-free. During an endurance test over 1,000 hours of operation at full load, the drive mechanism demonstrated absolutely no breakdowns or reduction in performance. 3 The energy for the E-jet power system comes from exceptionally efficient High-Energy Li-Ion accumulators. 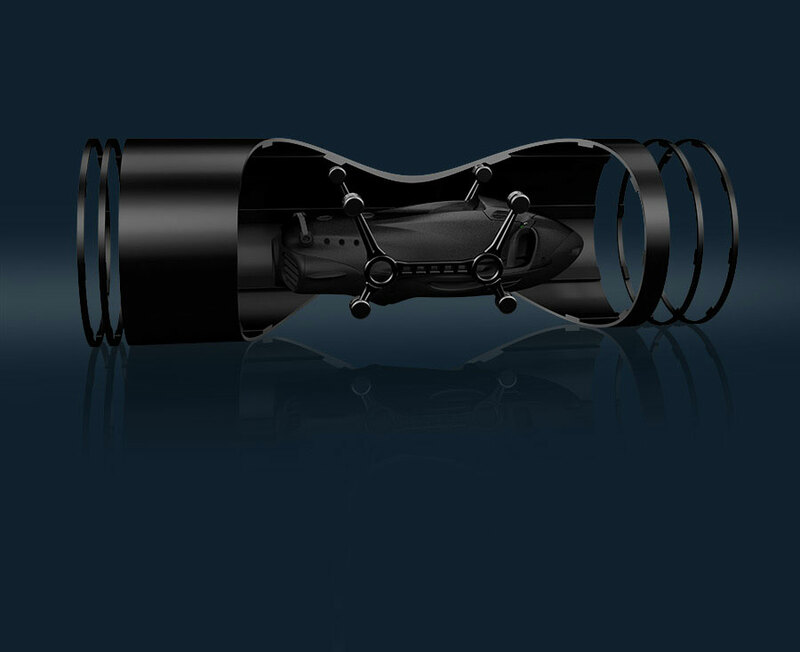 These large and special high-performance accumulators form a high-quality component in the overall propulsion concept of the DIVEJET. The DIVEJET is available with the capability to be launched safely and accurately by parachute drop. 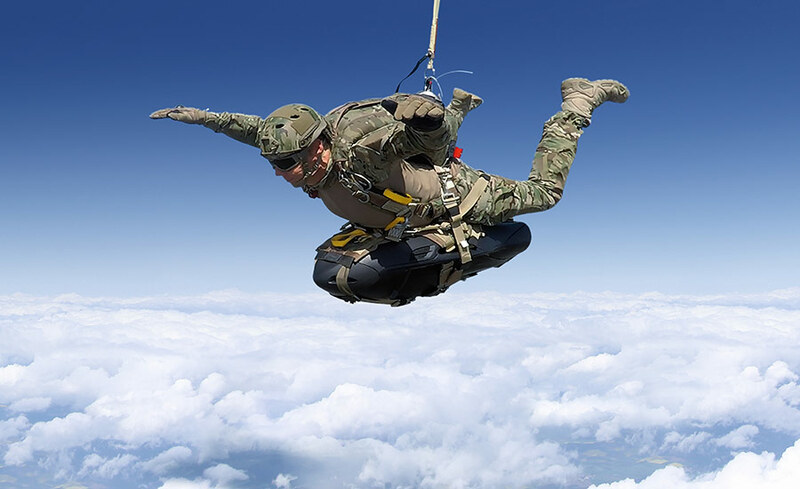 The parachute drop harness has been specifically designed so that the RD2 can be deployed from helicopters or fixed wing aircraft. This will enable the RD2 to be delivered precisely into the designated mission area, minimizing risk to the aircraft and the receiving unit. 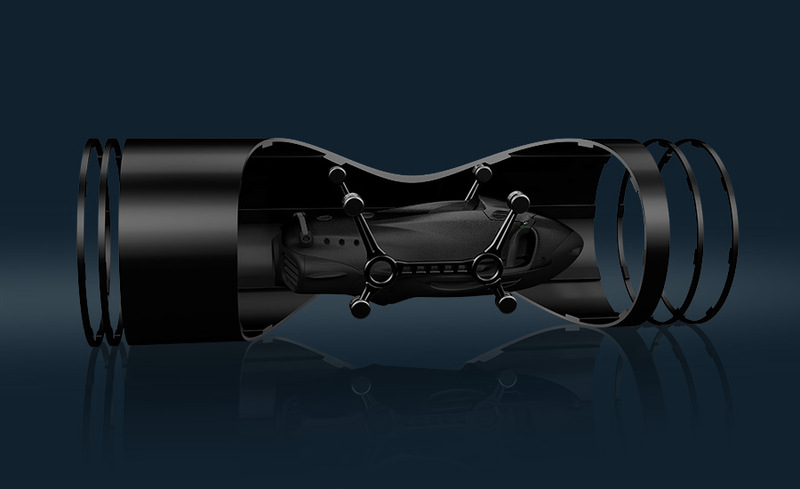 Due to the compact dimensions of DIVEJET, they are fully compatible with all NATO submarine torpedo tubes and can therefore be launched accordingly. To provide very quick charging to the accumulators. Charging time only around 2 hours. 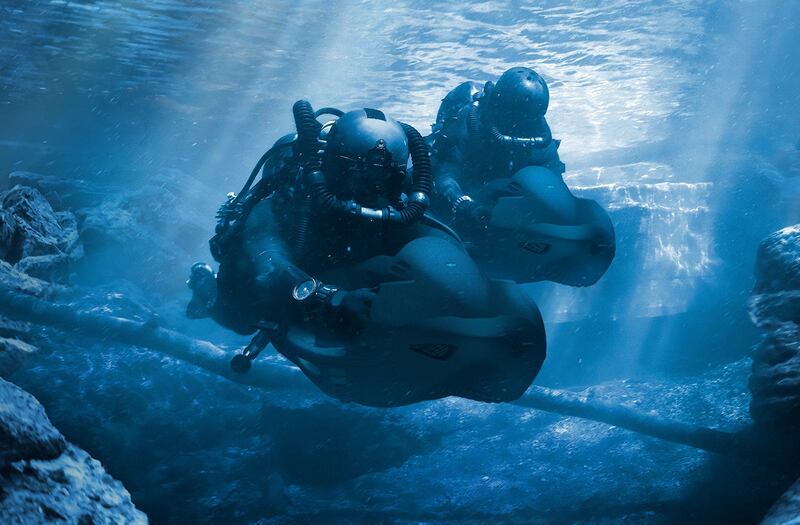 Provides optimal buoyancy for the RD2 in all diving applications.